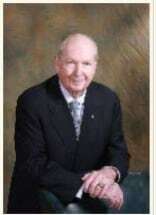 Mr. Carmody has practiced law in Shreveport for over 50 years and serves as Of Counsel for the firm. He has extensive trial experience and provides valuable consultation with the firm and clients. He is a member of the Louisiana State and Federal Fifth Circuit Bar Associations. He is a former president of the Shreveport Bar Association, a fellow of the American College of Trial Lawyers, and a member of the National Association of Railroad Trial Counsel, the Louisiana State Law Institute and the Louisiana Association of Defense Counsel. He is a master in the Harry V. Booth and Judge Henry A. Politz American Inn of Court and has served on the board of trustees for the Louisiana State University Law Center.